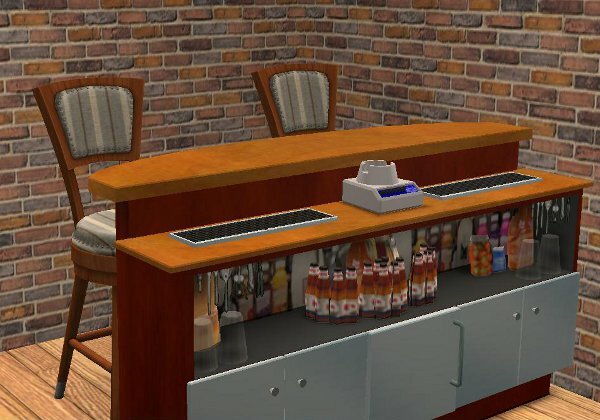 Now your sims can drink alcoholic beverages from the base game expensive bar. I added new pie menus to the poured interaction of bourbon, whiskey, vermouth, rum, vodka, and brandy. Teens can't use the alcoholic drinks, but can still use the Maxis poured or blended drinks. The bar is a non-default bar. The bar is found in general/party and costs 1,000 simoleons. Enjoy! 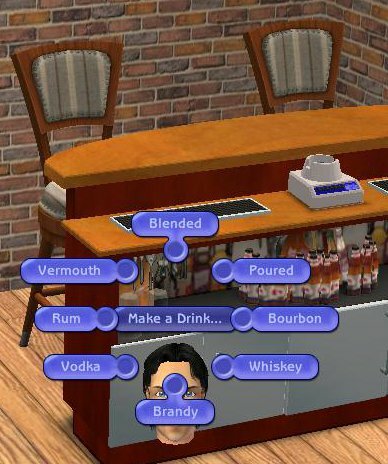 Maybe someone with the skill could add these actions to the bar http://www.modthesims.info/d/200435.